This is a upper radiator pipe for a STOCK LOCATION INTERCOOLER ONLY! 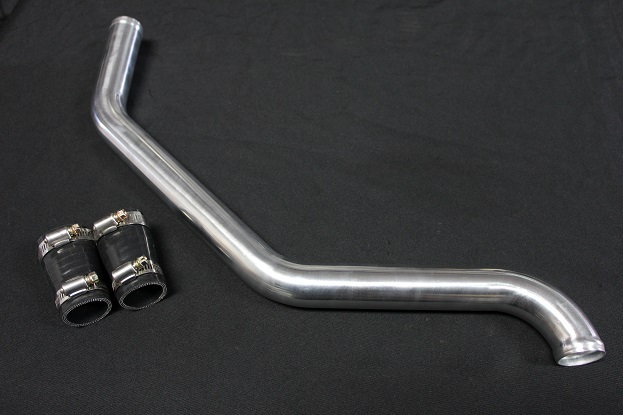 This aluminum pipe comes complete with silicone hoses and clamps. Available in BLUE OR BLACK hoses. 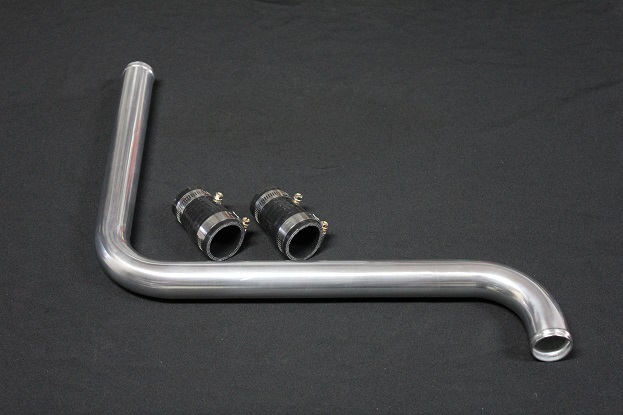 We also offer a pipe kit for FRONT MOUNT INTERCOOLERS AS SEEN BELOW Select the proper pipe AND COLOR HOSES from the order box at the bottom of this page.